As you guys know, I love to travel as much as I can and I'd say the majority of the destinations I visit I only ever take a small cabin bag because I'm flying for a short period of time with budget airlines. 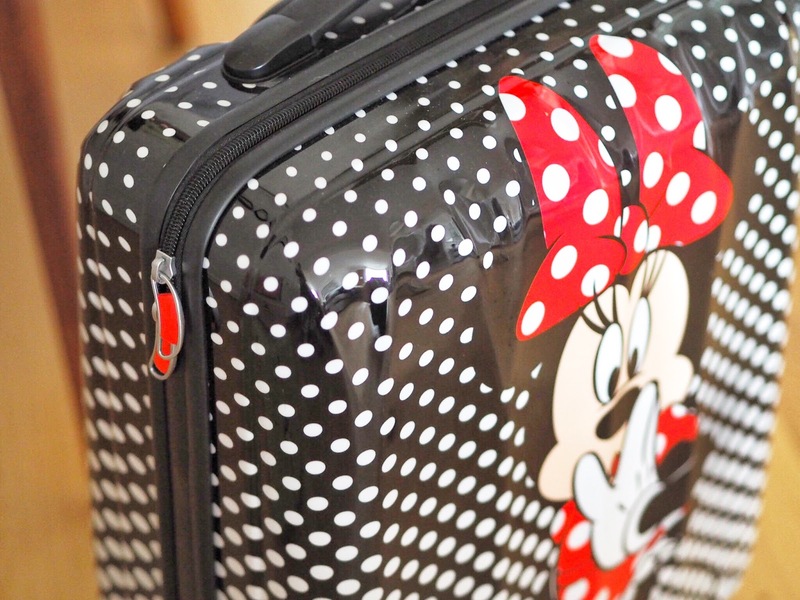 For years I've been suffering with the heaviest, most clunky case imaginable, so when the lovely people at American Tourister offered to send me one of their cases, and a Disney one of all designs, I absolutely said yes! 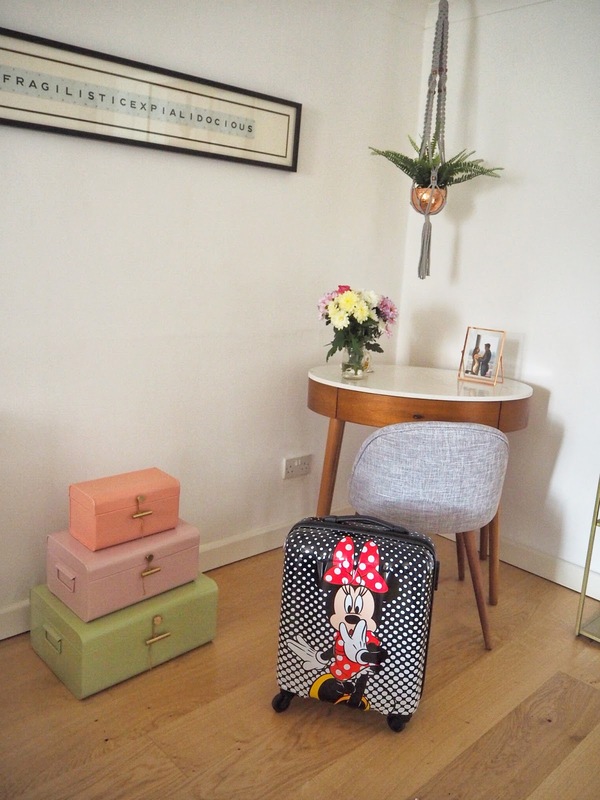 I went for the most adorable Minnie Mouse case (gifted) with the cutest black and white polka dot design and it's the most adorable thing ever! Not only am I obsessed with the design but it's also so much lighter than my old case and it has four wheels which makes taking it around 100 times easier. It's also the perfect size to take on the plane, so no need to worry about paying extra to check it in! It even has a lock feature which I've never had on a cabin case before and that's even better for in those annoying circumstances where EasyJet don't have enough space on the plane so put your luggage in the hold! It also holds a good amount of stuff too, which is essential when I'm trying to pack as many outfits as possible for my trips. I'm very impressed by it and it's fabulous quality and I'm so relieved that I finally have a great quality cabin bag as well, not to mention the fact that the design is so 'me'! 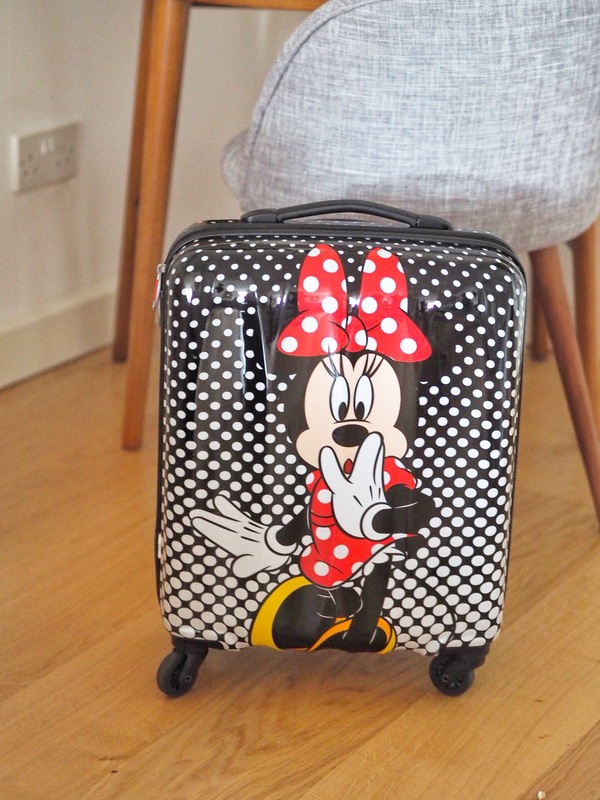 You can see the entire range of Disney luggage on American Tourister here! I'd 100% recommend them if you're looking for a gorgeous, high quality case with an adorable design to match!